In a whirl of confusion the life of Eli Yanakakis changes forever. On his ninth birthday he is shoved down into the earth with his family, leaving his too-slow Grandmother and twin brother behind. For the last six years Eli and what is left of his family have been living three stories underground in the compound created by his billionaire, computer-genius father. Built to withstand the nuclear blast that had driven them underground, the family is forced to wait 15 years before they can emerge into breathable air. But six years into their incarceration the food supply is dwindling and Eli's father has a horrid solution - one that Eli can't believe his family is starting to buy into. Angry and repulsed, Eli begins to investigate his father's claims to find out the frightening reality behind the compound, leading both father and son into a struggle for power and safety. 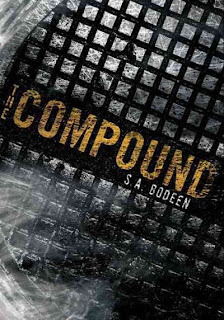 This book is Bodeen's first young adult novel and definitely earns itself a place in thriller YA literature. The book does have a few faults. The voice of Eli is repetitively pessimistic, which, though it makes sense does grate occasionally on the reader. The use of the Supplements is both horrible and illogical, making readers think twice of the super-genius supposedly possessed by Eli's father. There are some dragging plot moments but the author does succeed beautifully in portraying the frayed nerves of a family that has been too long trapped together. The sibling rivalry rings true, especially between Eli and his older sister Lexie. Though flawed, the book is an excellent first attempt and will have readers looking forward to another Bodeen thriller. This book is on the Texas Lone Star Book reading list for 2009-2010. Some foul language is used. Recommended for all teens, especially those who love thrillers, survival stories, and dysfunctional families!